The gold price edged up on Friday, but was on track for its first weekly loss in three weeks on the back of a stronger US dollar. The gold price inched up on Friday (February 8), holding above the US$1,300-per-ounce mark on concerns global economic growth. But the yellow metal was on track for a weekly loss as a stronger US dollar put pressure on prices. A higher greenback makes commodities priced in dollars more expensive for investors using other currencies. “The major headwind is the pretty resilient dollar at the moment,” said Philip Newman, director at Metals Focus. Ready to profit from precious metals this year? As of 12:30 p.m. EST, gold was trading at US$1,314.15 per ounce. Looking over to silver, the white metal gained 0.2 percent on Friday, but was also on track for a weekly loss. As of 12.30 p.m. EST, silver was trading at US$15.75. Meanwhile, platinum inched down 0.1 percent to US$796 and palladium increased 0.9 percent to US$1,380. Our precious metals top news stories this week feature Barrick Gold (TSX:ABX,NYSE:GOLD) and Reunion Gold (TSXV:RGD) strategic alliance, a look at how palladium’s rally could impact South African miners and five silver market trends to watch in 2019, according to the Silver Institute’s latest report. Barrick Gold has entered into a strategic agreement with Reunion Gold, in order to form a 50-50 alliance to collaboratively explore for, develop and mine mineral projects in the Guiana Shield. The miners announced the move on Monday (February 4), noting that Reunion will initially make its contribution to the the Waiamu, Aremu, Arawini and Oko projects. Meanwhile, Barrick will fund approximately US$4.2 million on these projects, as credit for previous exploration completed by Reunion. Subsequent funding will be on a 50-50 basis between the two companies. “The [agreement] expands Barrick’s exploration footprint in the Guiana Shield, a significantly underexplored region and one of the most prospective in the world for large scale gold discoveries,” said Mark Bristow, president and CEO of Barrick. While a slump in platinum prices have plagued miners in South Africa, palladium’s recent record-setting rally, paired with a weaker rand, is helping to offset the effects of a declining platinum sector. South Africa could deeply benefit from palladium’s surge as it is one of the top two producers of the precious metal in the world. The combination of steadily rising prices with a softer rand, which lowers costs for miners selling the precious metal for dollars, is giving miners such as Impala Platinum (Implats) (JSE:IMP), Sibanye-Stillwater (NYSE:SBGL,JSE:SGL), Lonmin (LSE:LMI) and Anglo American Platinum (Amplats) (LSE:AAL) an extended lifeline. The Silver Institute has released its silver market trends for 2019, noting that the silver market should be more in demand this year, as volatility in the equity markets is encouraging investors to look for safe havens such as precious metals, which will boost silver investment. The beginning of 2019 has already proven to be positive for silver investors, as the precious metal recently broke free of the US$16 barrier and the US Mint has already sold 12 percent more American Eagles in January compared to the previous year. The Investing News Network has rounded up five highlights that the Silver Institute is expecting from silver demand in 2019. 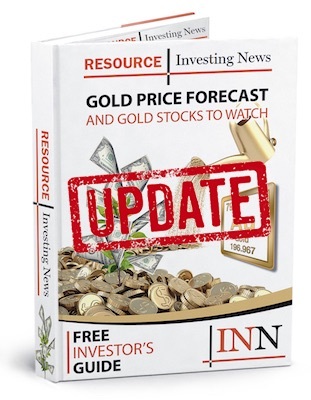 Also in precious metals news this week, McEwen Mining (NYSE:MUX,TSX:MUX) reported that construction at its Gold Bar mine in Nevada was nearing completion. The company expects first gold production later this month. “We estimate that the Gold Bar mine will produce 55,000 ounces of gold in 2019, at an all-in sustaining cost of about US$975 per ounce,” the company said in a press release. Looking over to Burkina Faso, gold miner Semafo (TSX:SMF) said it had produced 244,600 ounces of gold at its Boungou and Mana mines. “In 2019, at Boungou, we expect to process about 1.3-million tonnes of ore at an average grade of 5.72 grams per tonne with an average gold recovery rate of 94 percent,” the company stated. In other yearly reports, AngloGold (NYSE:AU) said its full-year profits, excluding some one-time items, increased more than seven times from 2017, thanks to its decision to shut and sell mines in South Africa and lower amortization in Brazil. Meanwhile in South America, Venezuela opposition lawmaker Carlos Paparoni told reporters that the government of President Nicolas Maduro blew through more than 40 percent of the country’s gold reserves last year to fund programs and pay millions to bondholders. The government sold a total of 73 tonnes of gold to two firms in the United Arab Emirates and another in Turkey, according to Paparoni. The opposition is seeking to thwart further gold sales to prevent a ransacking of the country during Maduro’s final days in power. Get the latest information about companies associated with Precious Metals Investing Delivered directly to your inbox. Rob McEwen: The Dust is Settling on Major Gold Deals — What’s Next?